As an Assistant Professor at The University of Nebraska-Lincoln, I am always interested in meaningful research that complements my teachings. I enjoy the pragmatic approach of gathering data from relevant settings like educational classrooms. I have also found this to be an effective method to improve my teaching. Collecting and analyzing data both inside and outside of the classroom allows me to identify new, important topics to introduce to students, as well as improve future embodiments of entrepreneurship curricula that I deliver. I adopted this approach during my recent assignment as a Winrock Farmer-to-Farmer volunteer supporting the USAID Bangladesh Counter-Trafficking In-Persons (BC/TIP) program. On this assignment, I taught two 5-day workshops teaching entrepreneurship to Bangladeshi youth (aged 18-35). This trip had many milestones for me – it was my first time in Bangladesh; my first time working with USAID and Winrock; and the first time I have taught in a foreign language. While things mostly turned out better than expected, I knew there would be many opportunities where research data could help improve my teaching. Additionally, I hope this trip is the first of many volunteer assignments, and I plan to use this data-driven approach to improve my future teaching efforts. While in Bangladesh, I had many meetings with youth, NGO personnel, and community leaders focused on creating new businesses and economic opportunities. I asked everyone I interacted with about what was needed to promote additional entrepreneurship, and recorded the results. While informative on their own, these findings were also used to design a survey for educational workshop participants as well as other methods to measure entrepreneur sentiment. 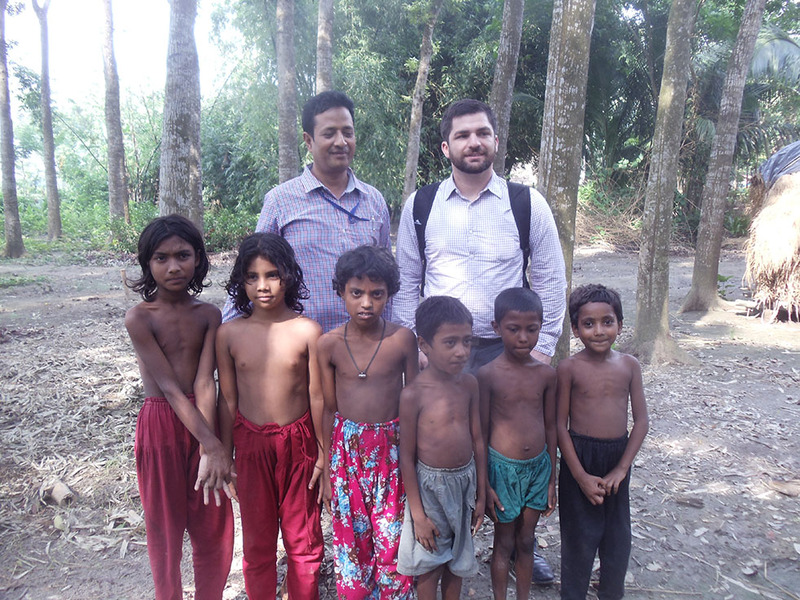 Winrock personnel in Bangladesh were critical to these efforts, and assisted with translating, distribution of surveys and other research materials, and providing additional insight on local Bangladeshi conditions. Now that I have returned to the US, I am currently analyzing this raw data in depth, to gain a better understanding of future challenges and opportunities for Bangladeshi entrepreneurship. I also hope to publish these findings in an academic journal, so that others can utilize this information as well. Finally, I will use results to further improve curriculum during my next volunteer assignment. My recent travels with Winrock gave me access to great teaching and research opportunities, and I hope to apply this model to future volunteer assignments. 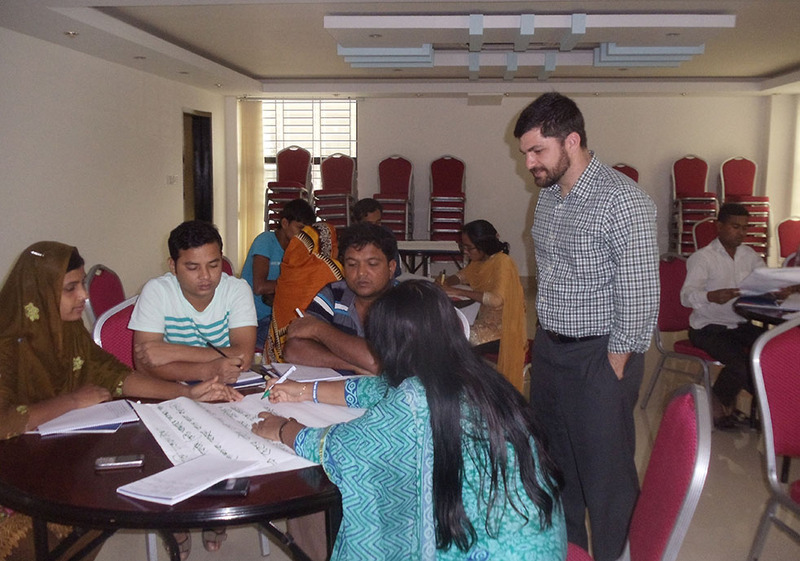 Zimbroff uses his data-driven approach in a workshop with Bangladeshi teens. Osun State in southwestern Nigeria is lush, its rolling hills clad in low forests, cacao stands, and fields of corn, yam, pepper and cassava. Oil palms dot the landscape, and the bright reddish oil extracted from the palm’s pulp can be bought at any roadside stand. It also happens to be a great area for raising bees, which is why I was there. For 10 days in late June, I worked with faculty from Osun State Polytechnic (OSPoly) and community members from the nearby town of Iree as a volunteer for the USAID John Ogonowski and Doug Bereuter Farmer-to-Farmer Program. OSPoly is in the opening stages of establishing an agriculture program, so I came to teach a short beekeeping course, establish an apiary and help the staff develop a curriculum. We learned about bee behavior and hive management, practiced rendering wax and making secondary hive products, built a smoker, stalked bees and talked honey. It was wonderful to share my passion for bees and beekeeping with such an interested and excited group of staff, students and community members. 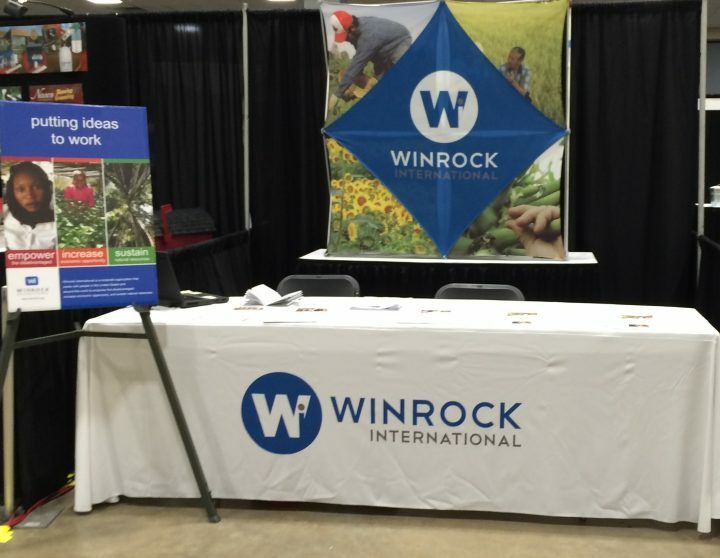 And the assistance and friendship of Winrock International’s Nigeria staff made the trip a true pleasure. I look forward to keeping in touch with the staff at OSPoly as they continue to get their beekeeping program up and running. Farmer-to-Farmer volunteer, Alan Robinson, shares his reflections from his ecotourism assignment in Cambodia working with the USAID-funded Supporting Forest and Biodiversity (SFB) Project.